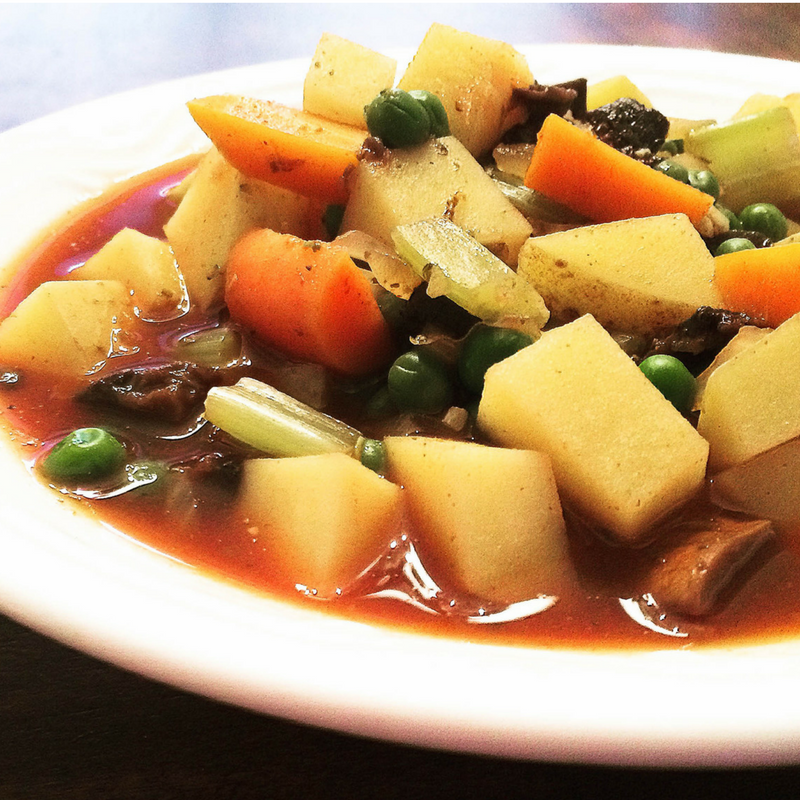 This hearty vegan stew definitely hits the spot on a cool autumn day! And the recipe is very forgiving so throw in whatever seasonal vegetables you have on hand. I almost always overbuy on potatoes and celery and have found soups and stews to be an easy way to burn through those use-or-lose vegetables taking up space in the fridge. Add onion, celery, and carrots. Cook, stirring frequently, 5-6 minutes, or until vegetables are softened and fragrant. Stir in mushrooms and cook for an additional 3-5 minutes. Add garlic and cook 1 minute more. Add the water, potatoes, tomato paste, Italian seasoning, paprika, and rosemary. Cover pot and allow to simmer, stirring occasionally, 15-20 minutes, until potatoes and carrots are fork-tender. Stir in peas and cook, covered, an additional 3-5 minutes.